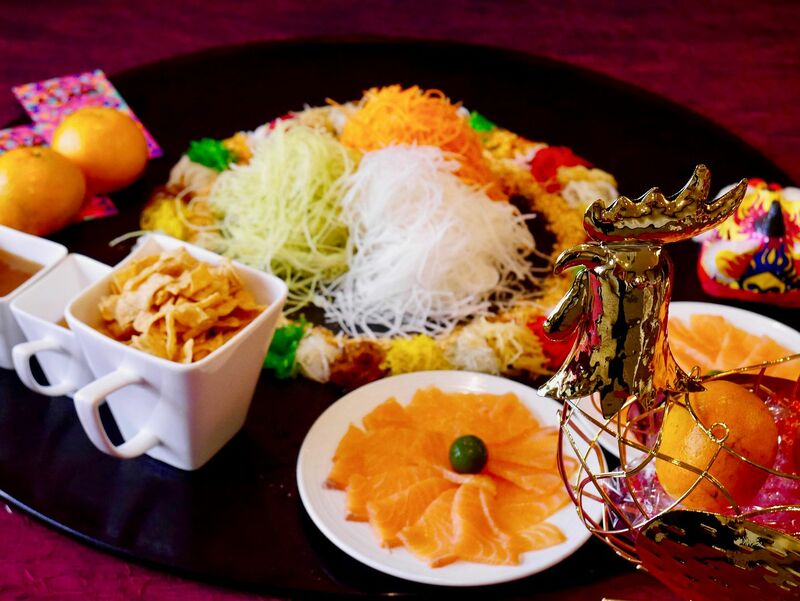 Catch the God of Fortune mascot as you dine at Furama RiverFront this Chinese New Year! With fun activities planned to entertain guests, you can expect an interesting reunion celebration while tucking into the buffet spread at The Square. 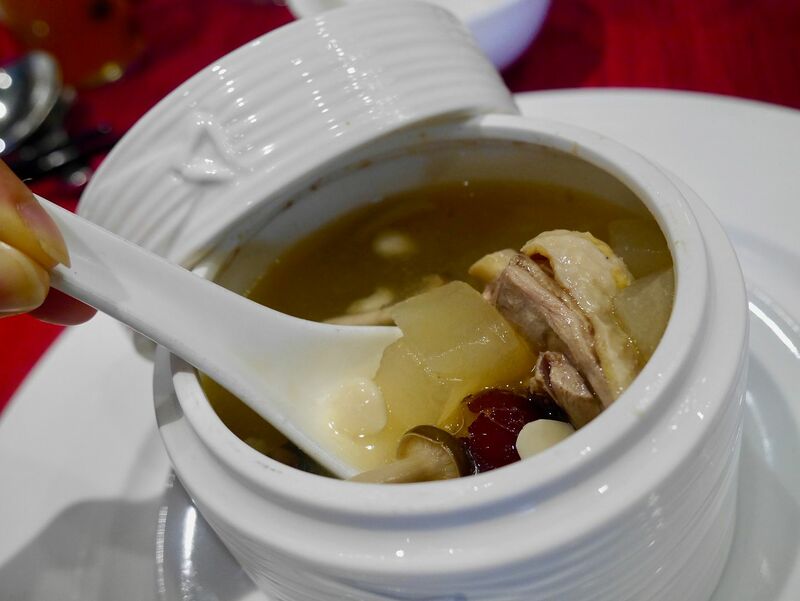 Cleanse the stomach with Double boiled Sakura Chicken with Winter Melon, Dried Scallop & Honshimeji Mushroom. The natural sweetness of the ingredients shine through in this light and healthy bowl. The Square’s signature Wok Fried Coffee Pork Almond Flakes is available at this buffet too. If only it tastes as good as it smells. 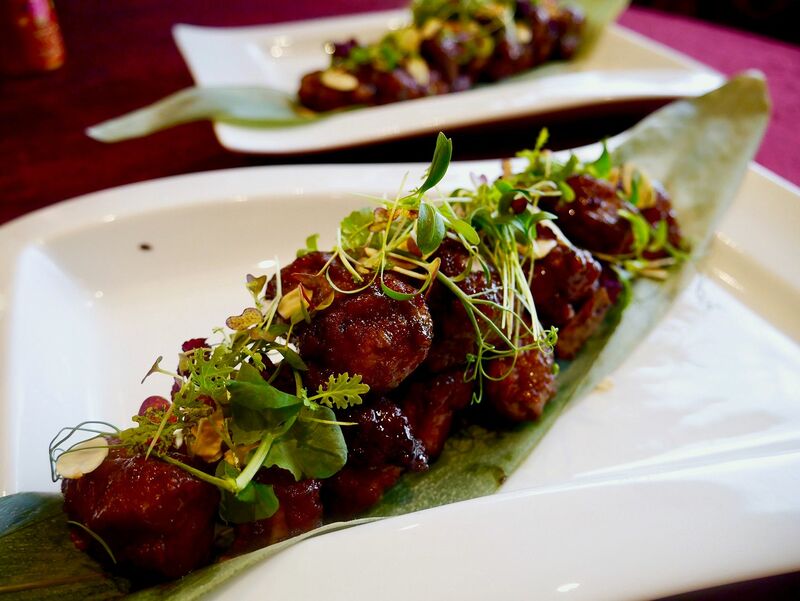 The meat could do with longer marination for the flavors to be infused. 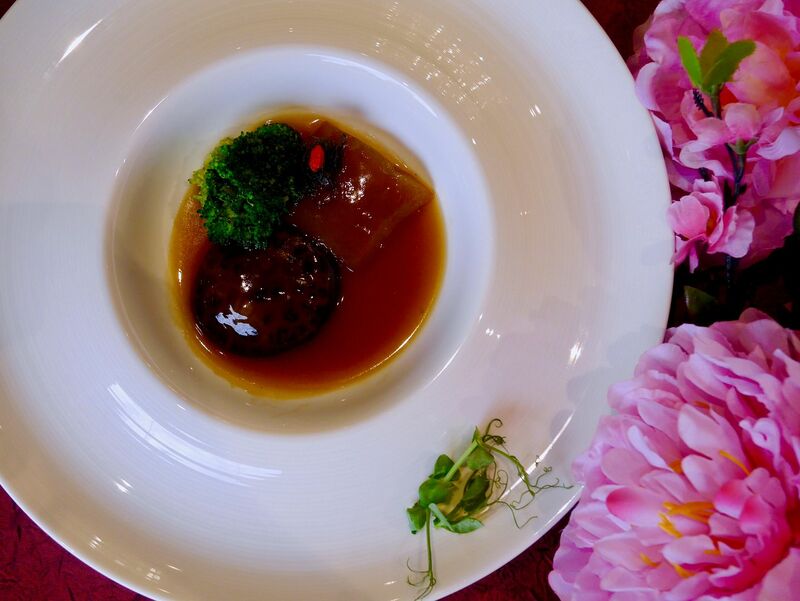 A dish of plump goodness is the Braised Sea Cucumber with Sea Moss and Flower Mushroom. Look at how thick and juicy the sea cucumber and flower mushroom are! 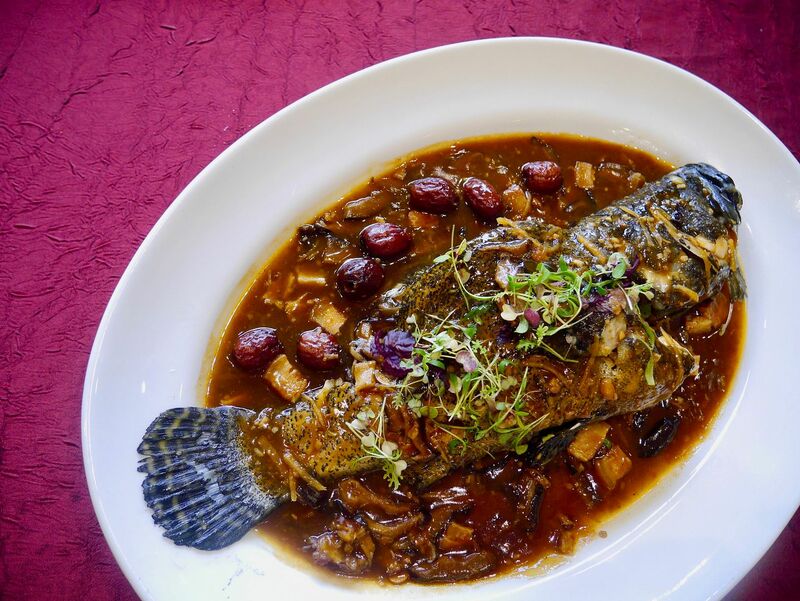 Do not miss out on Steamed Sea Garoupa in Home-Town Style. The fresh garoupa is steamed to the right minute and drizzled with a plum-like sauce that is comforting to the tastebuds. Just like Grandma’s cooking. 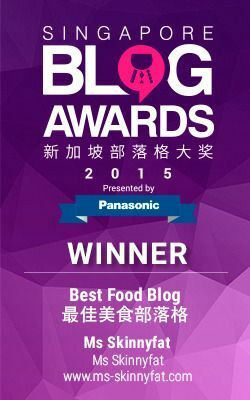 Wondered how how Mamee noodle snack/ rice pops would taste in soups? We found the answer in the Rice Cracker in Superior Golden Broth with Seafood & Coriander Stem. The square of rice cracker slowly dissolves in the broth of fresh and juicy scallops, prawns and crab. One word: Yums. 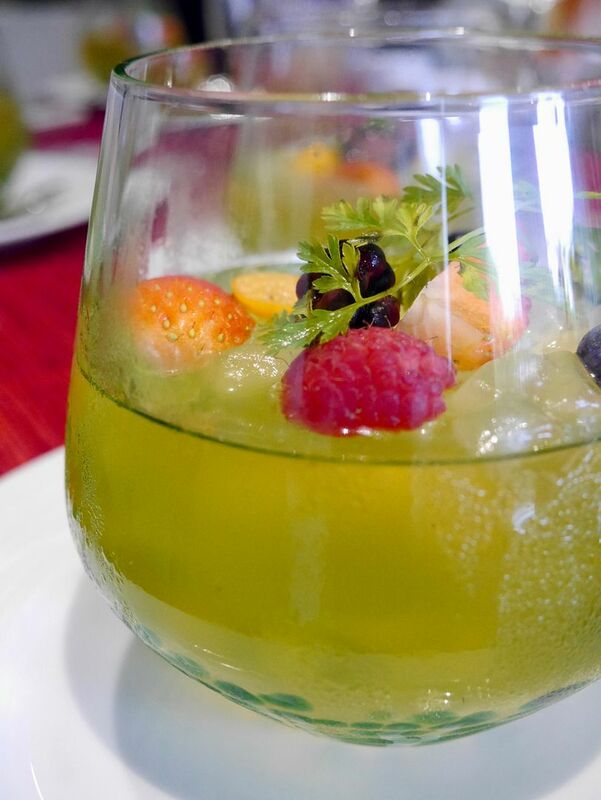 If you still have space after the meal and need something sweet, there's the Chilled Refreshing Lemon Grass Jelly Delight but you are not missing out much if you don’t. 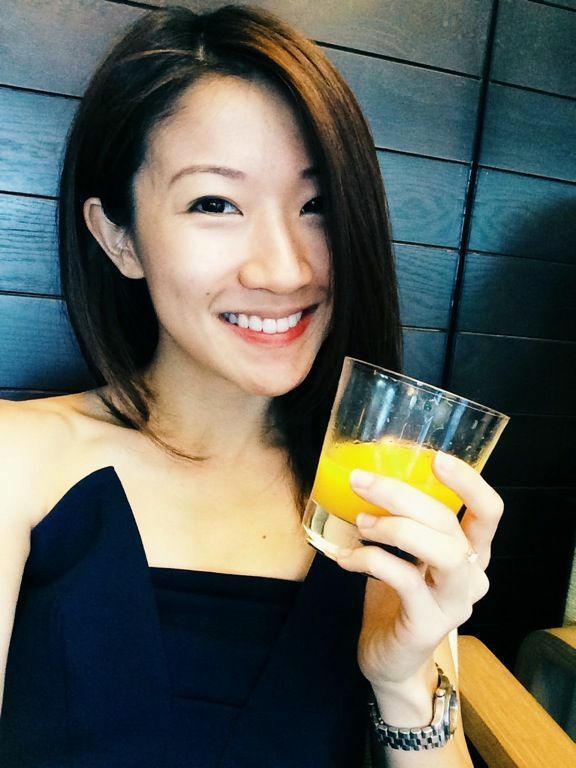 Guess CNY buffets are the easiest way to cater for an entire's family dietary needs and wants. Furama RiverFront.